Congratulation! Today we have our second S.I.P. 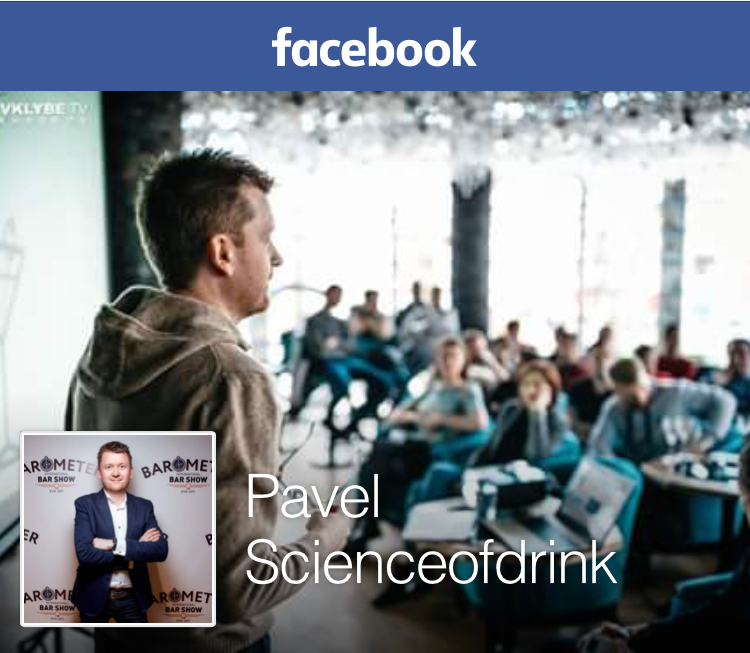 – on-line event for russophone bloggers-inbibirs. 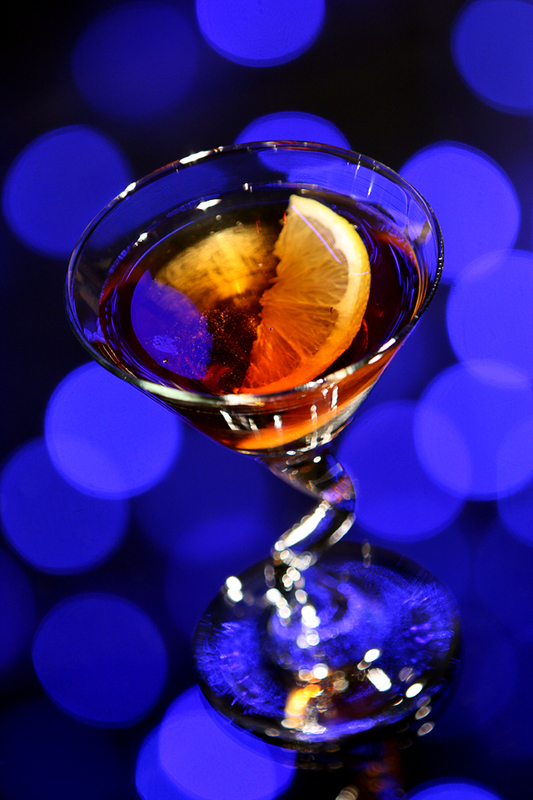 The point of this event is in investigation and exploring great classic cocktail. Our S.I.P. #2 devote to Sidecar. The Sidecar Cocktail is great stuff for researching. This great classic cocktail has interesting story, fancy composition and taste, which can to improve the taste of its consumer. The Sidecar is cocktail which has true taste. 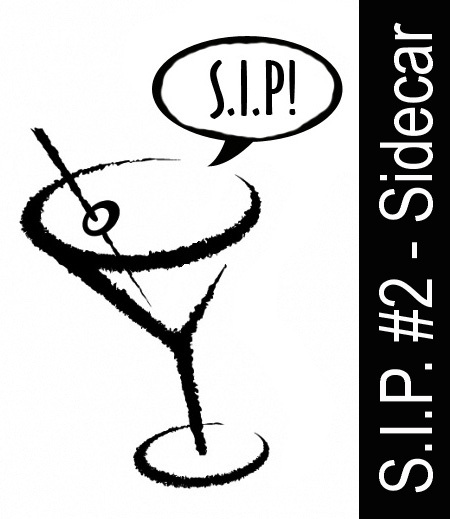 For S.I.P.#2 I explore the way of Sidecar from its possible predecessor – the Brandy Crusta Cocktail to modern creature Mandarine Sidecar. The history of the Sidecar creation is so unclear. According to legend the Sidecar was created during or after World War (circa 1920) in one Paris little bistro for American or French Army capitan who was driven to and from the bar in a motorcycle sidecar, hebce its name. Actually a sidecar was very popular transport among the military at that time. There are two possible places where cocktail was born. First – the legendary Paris American bar Harry and another – The Ritz Hemingway Bar. The Sidecar was first mentioned in print in 1922 into two cocktails books – Cocktails: How to Mix Them by Robert Vermiere and ABC of Mixing Cocktails by Harry MacElhone. 1 WINE-GLASS OF BRANDY (MARTELL). Stir up well with a spoon, strain it into the glass, dress with a little fruit, and serve. 1 OR 2 DASHES OF CURACOA. A LITTLE OF LEMON JUICE. A SMALL LUMP OF ICE. First, mix the ingredients in a small tumbler, then take a fancy red wine-glass, rub a sliced lemon around the rim of the same, and dip it in pulverized white sugar, so that the sugar will adhere to the edge of the glass. Pare half a lemon the same as you would an apple (all in one piece) so that the paring will fit in the wine-glass, as shown in the cut, and strain the crusta from the tumbler into it. Then smile. Stir well and strain into prepared glass with sugar rim. Garnish with a long lemon peel. 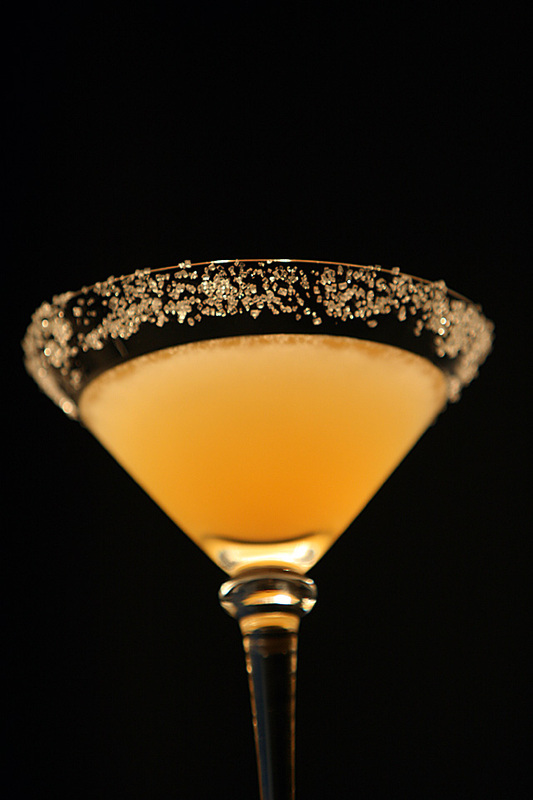 The Brandy Crusta Cocktail has so strong and spicy flavor and taste. 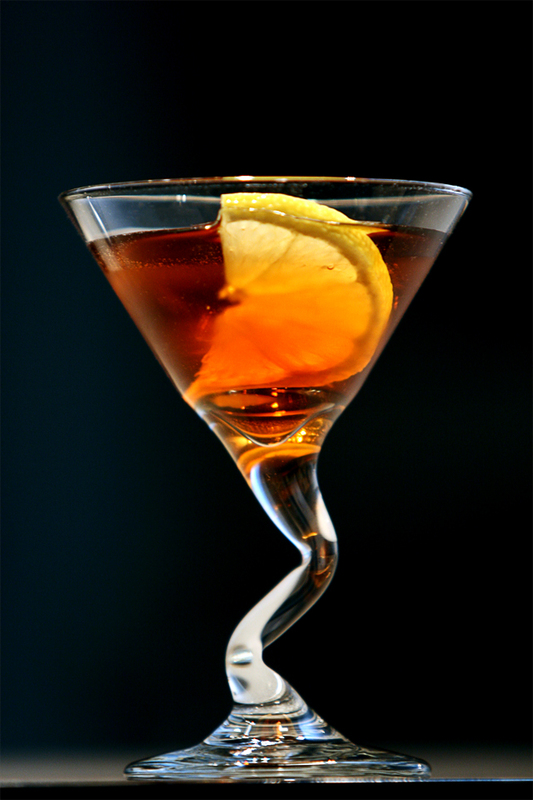 It is closest to Old-Fashioned with brandy than traditional sour – the Sidecar. 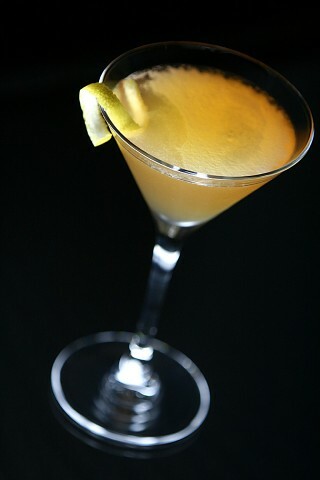 The traditional Sidecar is very simple drink – base spirit (cognac), sweetener – Cointreau and sour agent – lemon juice. It is canonical sour. Actually for Sidecar you should use real french cognac. The VS cognac is apropriate but VSOP is best choice. I compared all of my cognacs – Hennessy VS and VSOP, Martell VSOP ans Remy Martin VSOP in my Sidecars. First I tested two of common proportions – equal french style and 3:2:2 in Englesh style. Shake with a lot of ice. Strain into cocktail glass with sugar rim. French style Sidecar is too sour and so tart. It is no my chice. 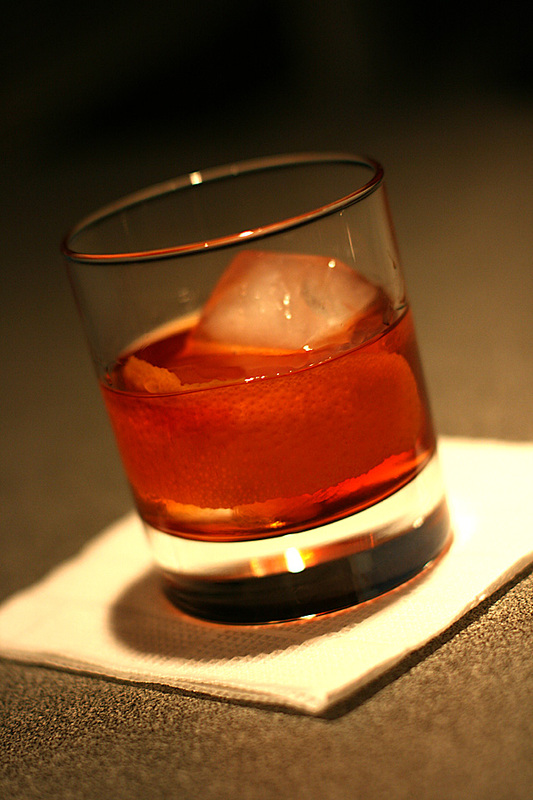 The 3:2:2 ratio is excellent – so good balanced drink. In this ratio all VSOP give good results. But Sidecar with Martell VSOP isa little bit more flavorfull. 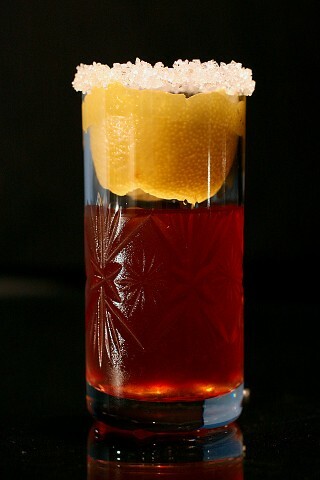 Shake all ingredients with ice and fine strain into chilled glass with sugar rim (optional). Garnish with a lemon zest. I use Remy Martin VSOP Cognac and my favorite demerara 2:1 syrup instead Courvoisier and Monin. It is very balanced cocktail with main palate of friut liqueur with a cognacs hint. It is so interesting sour. Admirable drink. This cocktail I found at the Mandarine Napoleon promo-site. Actually I doubt promo-cocktails but in this case it is sounds great. Put orange peel and bitter into old-fashioned glass. Add some liqueur and bourbon, add one large ice cube and stir. Then add another liquors and second large ice cube. Stir and serve.